ABINGDON, VA – According to Todd Christensen, Director of the Southwest Virginia Cultural Heritage Foundation, the efforts to identify Southwest Virginia as unique, national destination began with The Crooked Road in 2003. In 2014, the Foundation launched an initiative, in partnership with the region’s localities and many other stakeholders, to develop an open access brand which would invite the world to discover a distinct and special place called Southwest Virginia. Last week, the Southwest Virginia Cultural Heritage Foundation announced a press conference to take place on October 18th at Heartwood: Southwest Virginia’s Artisan Gateway at 10 a.m. 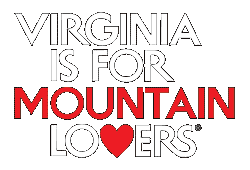 This event will officially launch the Southwest Virginia destination brand, a user-facing brand encompassing both the Blue Ridge Highlands and Heart of Appalachia areas. Since 2004, travel expenditures in Southwest Virginia have increased by 52%. With an increase of almost $337 million in revenue since 2004, stakeholders from around the Commonwealth of Virginia recognized a need to partner together to produce a region-wide initiative in Southwest Virginia. Southwest Virginia’s counties and cities collected almost $25 million in local travel related tax revenue in 2015, which further illuminates the increasing role that tourism plays in Southwest Virginia’s economy. Helping to present the regional efforts on October 18th include, Delegate Terry G. Kilgore, Bill Shelton, Rita McClenny, Todd Christensen and Ben Muldrow. Headlining the reception, Ralph Stanley II and The Clinch Mountain Boys will be entertaining guests while ‘Round the Mountain artisans, Jean Condon and Paula and Rob Kahn will be demonstrating their craft. The reception will feature Appalachian cuisine prepared by Heartwood’s own, Chef Charles Parker. The United Way of Southwest Virginia will be hosting a leadership summit at the Southwest Virginia Higher Education Center on October 18th as well. As we work to unite our region, please feel free to attend both events. For more information, please visit http://unitedwayswva.org/uniteswva/. For more information and to RSVP, please contact Jenna Wagner (276-492-2422).